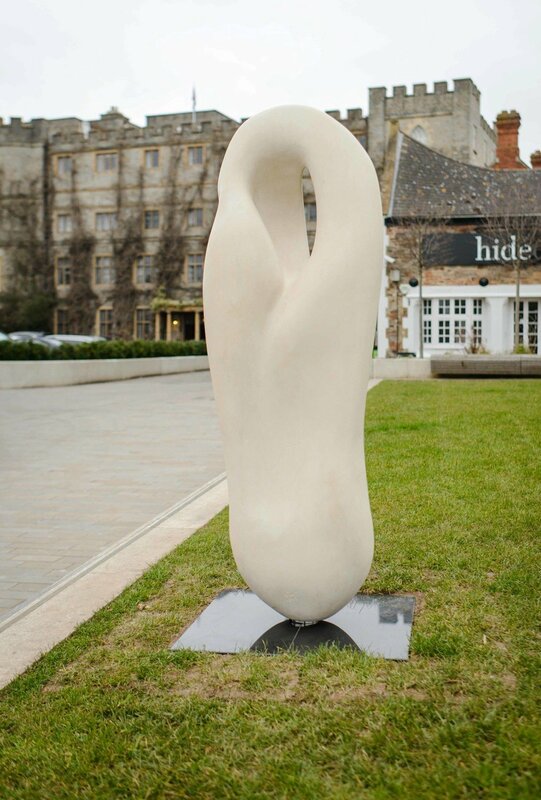 Trinity House featured artist Chris Webb is having his sculptures installed at Castle Green in Taunton, as part of an initiative giving specialists the chance to showcase their work in attractive surroundings. The works will have pride of place in the town centre for the spring. Chris, who has a studio at Creech St Michael, has made several commissions which have featured in and around Taunton including the three giant kingfisher eggs for Somerset Square, and the sculpture in Priorswood Gardens, which were opened to celebrate the Queens Jubilee. Chris has been carving for 30 years in a variety of styles including contemporary, abstract and figurative. A collection of his Bronze sculptures are on show at top London gallery Trinity House, and he exhibited at the Chelsea Flower Show for the first time last year. • Odessy – A piece to explore with your hands and eyes closed. Inspired by a blind gentleman who bought a similar piece for his artistic enjoyment. • Meridian ll – A sculpture containing a space to explore by touch, feeling curves and texture. • Endeavour ll – Exploring peaceful forms which take the eye and hands on a journey throughout the stone.